Knesset Foreign Affairs and Defense Committee prepares to update Draft Law according to haredi parties' demands. The Knesset Foreign Affairs and Defense Committee began discussing the changes to the Draft Law demanded by haredi parties as their price for supporting the state budget, which passed early Thursday morning. The law was passed on its first reading Monday, and is now being prepared by the Committee for its second and third reading, which is supposed to take place next week. 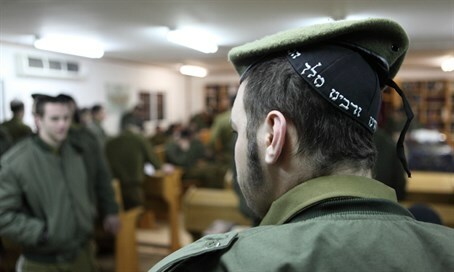 Among the changes will be the removal of criminal penalties on yeshiva students who do not register for military service, a feature of the law as it currently stands. According to Ahaz Ben-Ari, the general counsel for the Defense Ministry, “those penalties made it harder for the IDF to recruit haredi students, as it interfered with the positive trend of increasing IDF recruitment in this sector." The Ministry is also considering setting up an inter-ministerial staff to ensure the new rules, which mandate yeshiva students register for the draft and receive an exemption until they end their stint in yeshiva, are enforced. Earlier on Thursday, coalition MK Yoav Kish (Likud) threatened to vote against the proposed changes causing an uproar among the haredi parties who threatened to abandon the government if the new rules were not approved.